Promotional Look Book - Flottman Company. 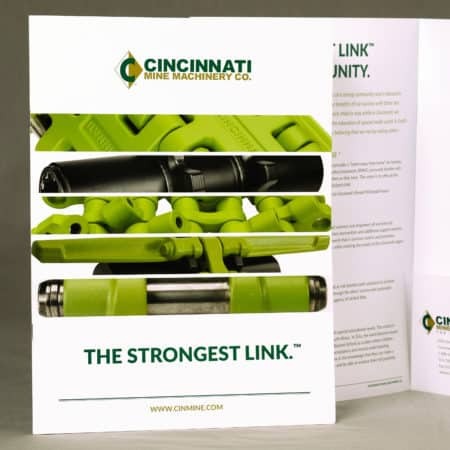 Redesign this mining company’s company look book to assist with sales. Modernize the book with bold imagery and bright colors and use the book to highlight what makes this company stand out from their competition. The company was thrilled with how the book turned out and their sales team started using it immediately. The new look book clearly shows the company’s expertise and uniqueness. Flottman Company prints and produces books for a variety of customers and uses. 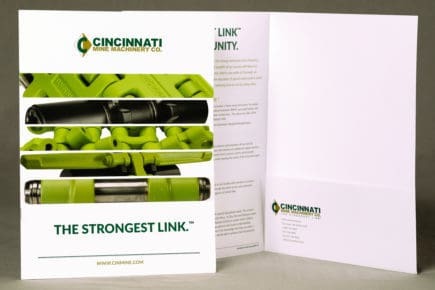 This promotional look book was created to be used as a corporate introduction piece, a handout at trade shows and as a leave behind by sales representatives. Our marketing team at FUSIONWRX designed the piece, and we printed, cut and folded the books in house. We utilized a clean layout and eliminated cumbersome text and distracting background images. We also incorporated their products’ signature green color into the color scheme. 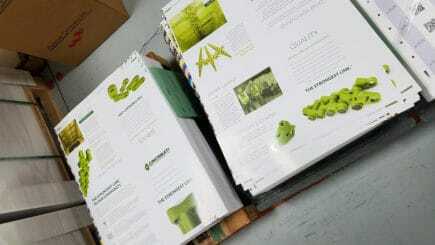 The bright green color that our printers were able to produce is what really makes this book stand out. The color is unique in the industry to Cincinnati Mine Machinery, which is why it plays such a pivotal role in this piece. We created a 9 x 12, 16-page look book, increasing both the presentation size and page quantity of the previous book. A focus on white space, a limited color palette, and a crisp, modern font allow for a precise and clean design that is inviting and easy to read. Large, bright images throughout the book showcase the products the company has to offer, and highlight the green color that has become synonymous with quality in the mining industry. This straightforward and methodical layout appeals to the companies that Cincinnati Mine Machinery is targeting. We incorporated a pocket folder into the back cover for the placement of product specific one-pagers. 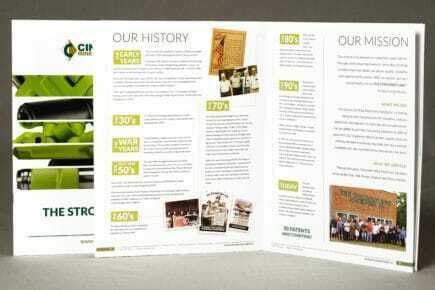 A business card slit on that folder allows for a complete and convenient information package. How can we help you make your next book project stand out? Request a quote today! To see the full case study and other examples of our work, visit our Behance page.